Established in 1992, Juliette Armand Skincare is an international skincare brand with a difference. The driving force behind the products is the belief that your skin has an ever-changing mood, therefore the products treating your skin must be personalised at all times. Juliette Armand products are free from all parabens, mineral oils, allergens and are not tested on animals. Hyaluronic Acid is known as the miracle ingredient of many skin care products these days. It works wonders for firming the skin and is the most moisturising ingredient out there. What it basically does is retains a lot of moisture in the skin and then gradually releases it, restoring moisture levels in the skin. Not just a quick fix! This serum is a definite must-have for those with dry skin. It’s suitable for daily use and you will notice an improvement in skin tone after as little as 2 days. Use on freshly cleansed skin before you moisturise. This little gem has a concoction of hydrating ingredients such as macadamia oil, avocado oil, grape seed oil, olive oil, vitamin E and of course, hyaluronic acid. This product is also suitable for everyday use and compliments the above serum wonderfully. 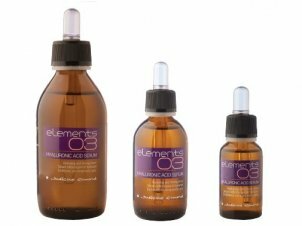 Apply to freshly cleansed skin after the Hyaluronic Acid Serum and before you moisturise. As well providing deep hydration for the skin, it also improves the skin’s elasticity and actually prevents the skin from losing moisture. That’s why it goes hand-in-hand with the hyaluronic acid serum. However, one thing to note is that this product is not suitable for those suffering with acne due to the oily ingredients.